Woking couldn't be better placed, with excellent road and rail links in to London, the south coast, and the South West. There is a direct, mainline rail service to London Waterloo plus fast, regular services to the south coast and the South West. Trains depart for the capital every few minutes, throughout the day, and the journey takes less than half an hour. For timetables and fares, please contact South West Trains, or call 08456 000650. Alternatively, try National Rail Enquiries, or call 08457 484950. 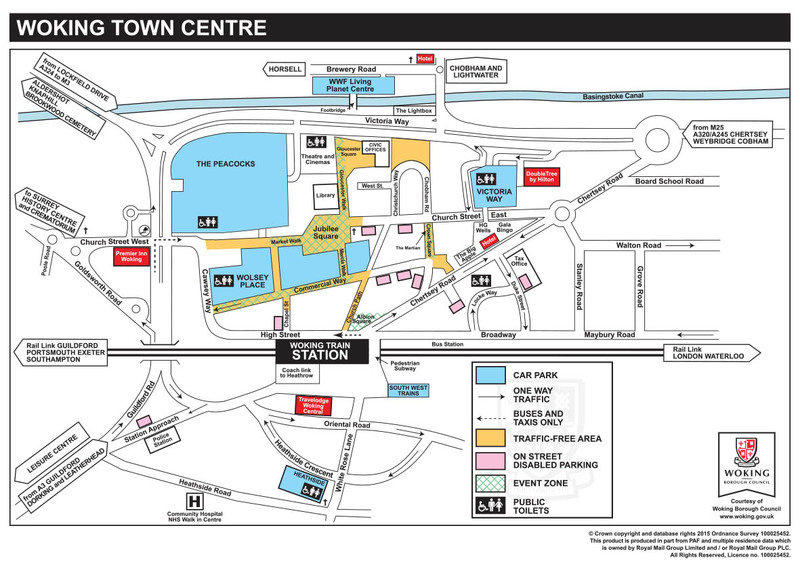 Woking Town Centre is around a 10-minute drive to the M25 (junction 11), M3 (junction 3) and the A3 (Ripley). Woking is approximately mid-way between Heathrow and Gatwick airports, and offers a direct coach-link to Heathrow by National Express, from the south side of the railway station.